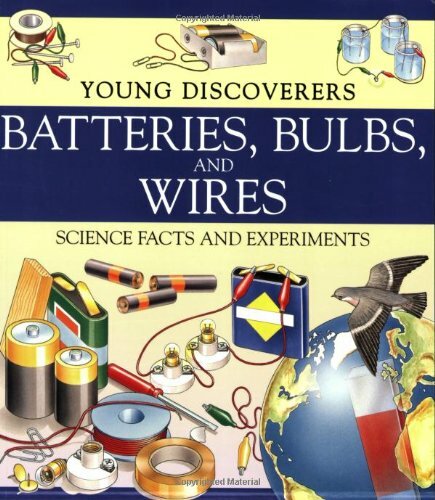 Here are the top 30 science, nature & how it works books for 5 year olds. Please click Read Review to read book reviews on Amazon. You can also click Find in Library to check book availability at your local library. If the default library is not correct, please follow Change Local Library to reset it. A leaf can be a…shade spiller, mouth filler, tree topper, rain stopper. 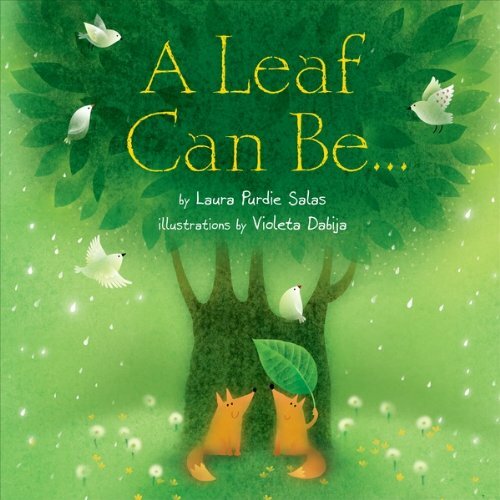 Find out about the many roles leaves play in this poetic exploration of leaves throughout the year. Describes many different kinds, uses, and benefits of pulleys. 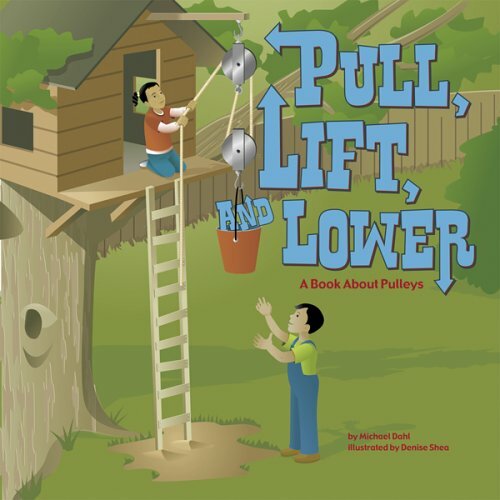 Provides examples of pulleys by showing a flagpole, a crane, an elevator and window blinds. Crack, crack…animal babies are hatched all over the place. Can you figure out who’s who? Watercolor and collage illustrations depict close-up scenes of an egg or eggs about to hatch. The text hints at what the eggs contain: “Hidden in a rock cave/ Deep beneath the ocean waves/ Their mother wraps her long arms around/ To keep these eggs safe and sound.” The observant young nature lover will find a visual clue of what animal the mother might be. The next spread provides the answer-in this case, it’s an octopus. The second spread also provides fascinating facts about the species. 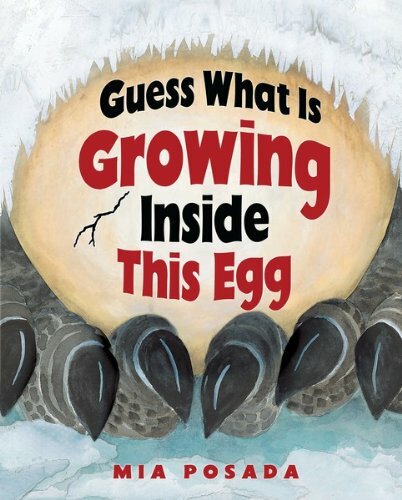 The book features a number of species ranging from spiders to penguins to octopuses, and the back matter provides more information about the actual size of various eggs and how they develop. Here, in thirty-six amazing images, you can see the unseeable-the delicate splash from a falling drop of water, a gigantic nebula in distant space, and many other natural wonders. 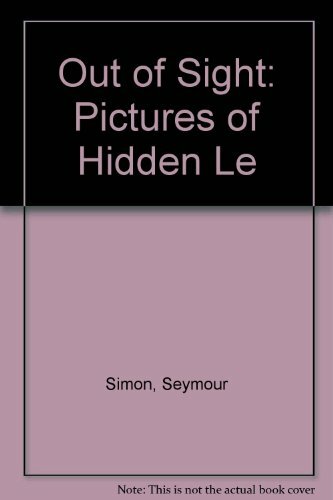 The astonishing photographs and fascinating explanations take readers on a fantastic voyage that is truly out of sight. 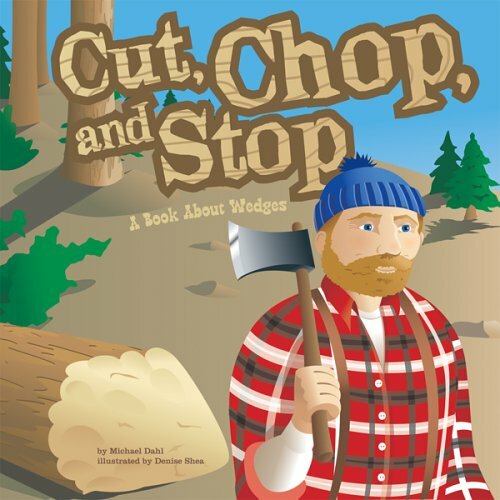 Provides examples to show how wedges are simple machines that make pulling apart, stopping, and moving easier. Includes an activity. 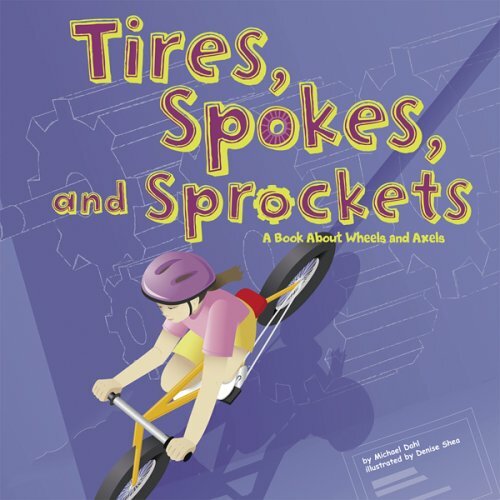 Describes many different kinds, uses, and benefits of wheels and axles. Includes information on gears, sprockets, and cranks. 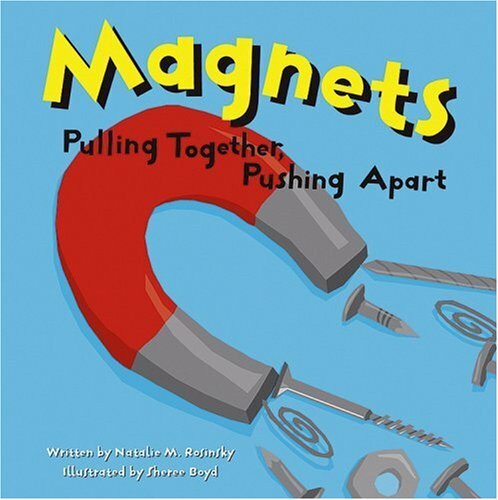 Provides examples showing how screws are simple machines that make joining things together and moving, easier. Hovering, gliding, diving — how do birds do it? 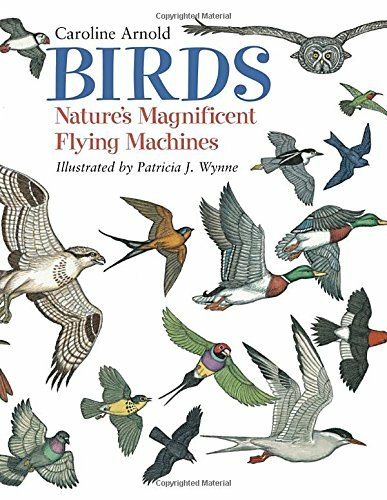 BIRDS: NATURE’S MAGNIFICENT FLYING MACHINES looks at how feathers, body structure, and wings vary from bird to bird. Readers will learn the mechanics of bird flight from takeoff to landing and discover how wing types meet the survival needs of each species. Popular science writer Caroline Arnold infuses this informative look at avian flight with her love of birds. Patricia J. Wynne’s exquisitely detailed illustrations show these amazing creatures in action. 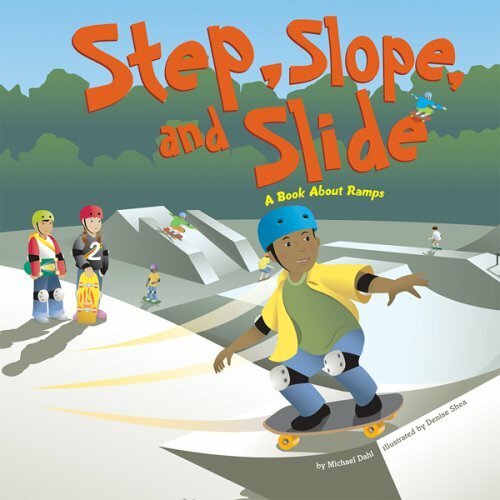 Describes the different kinds, uses, and benefits of inclined planes and ramps. Includes an activity. Crackle! Crackle! Crunch! What’s hatching from that egg? It’s a young bar-tailed godwit. She will spend the summer in Alaska learning to fly, find her own food, and escape from scary predators. 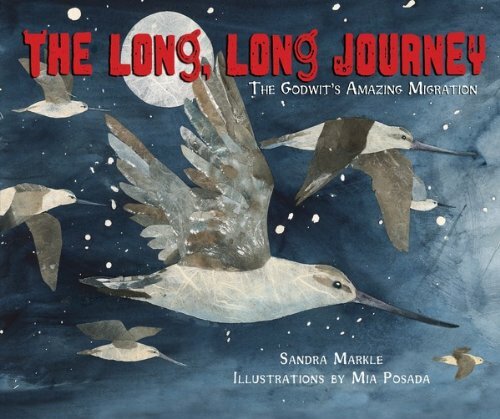 Her long, long journey begins in October when she flies to New Zealand. This 7,000-mile flight is the longest nonstop bird migration ever recorded. Follow along on her amazing voyage! Describes various kinds of firefighting equipment, including fire trucks, fire boats, aerial platforms, and other emergency equipment. “Dino” Don Lessem brings readers face-to-face with various dinosaur species, detailing their habitats, way of life and how they became extinct. An acclaimed dinosaur expert, Don Lessem has written more than 30 children’s books, writes a popular dinosaur column in Highlights magazine, and was an adviser for Jurassic Park. Take a trip through dinosaur time to meet these deadly dinosaurs face-to-face: The Variraptor had pointy teeth with grooves like steak knives to saw through meat! The Draeomaeosaurus was the first raptor ever discovered. It had a very large brain! The Microraptor was no larger than a crow and is the closet known relative to birds! Plus, you’ll get to know Utahraptor, Deinonychus, Megaraptor, Pytoraptor, and Velociraptor. FOR USE IN SCHOOLS AND LIBRARIES ONLY. 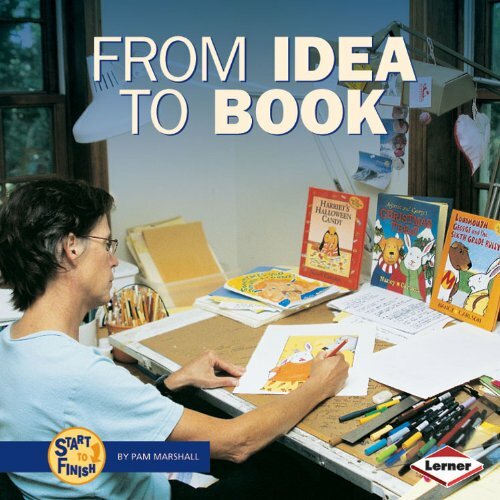 Explains the process of making a book by following the production of Nancy Carlson’s book, It’s Not My Fault!, through its stages of writing, illustrating, editing, designing, printing, and binding. Hop! Hop! Hop! There goes Kipper! 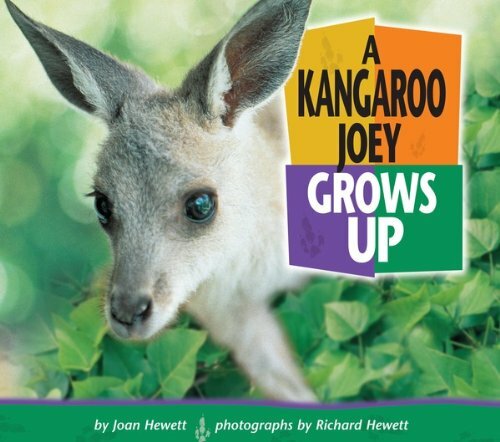 He’s a kangaroo joey, and if you watch closely you can see him grow from a tiny pink joey the size of a pea to a hopping kangaroo. Explore Kipper’s world as he sleeps, eats, and goes on his first trip alone. 16. The Parents’ Guide To Science Experiments For Kids! 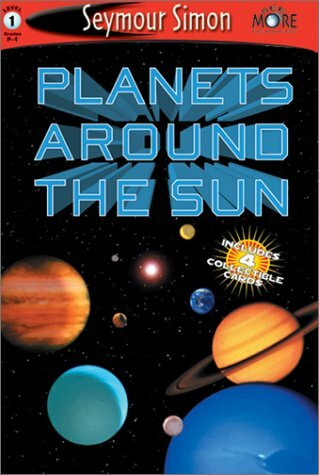 : How To Learn About Science The Fun And Easy Way! 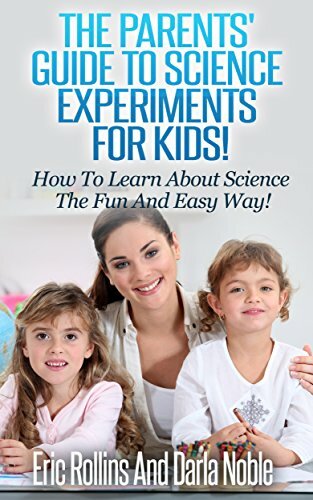 The Parents’ Guide To Science Experiments For Kids is an easy to understand collection of science experiments and related activities that parents and children can enjoy together using nature and simple household items. In this do-it-yourself guide, your child will learn more about the wonder of the everyday world around them while being inspired by their greatest teacher, you. 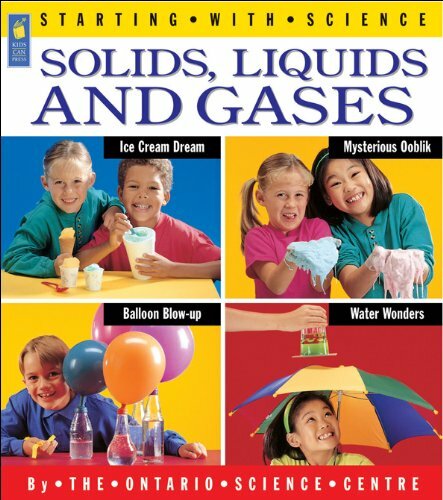 Containing twenty different experiments, from creating invisible ink to predicting the weather, your little scientist is sure to be entertained for hours to come. 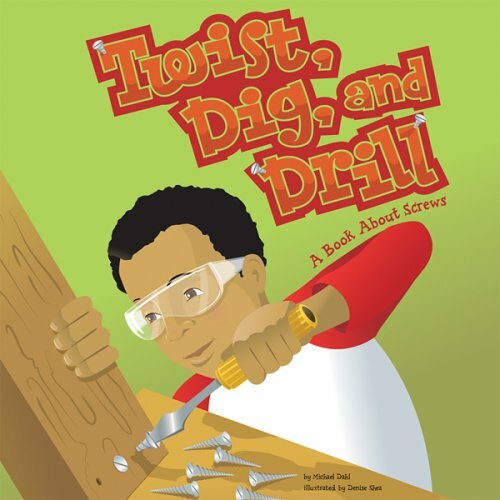 During the school year, this guide will also become a wonderful resource for both kids and parents seeking content for reports, school science projects, science fair project ideas, or simple educational games the entire family can enjoy. 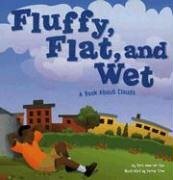 Make it a valuable tool in your child’s learning library by introducing science the fun and easy way! 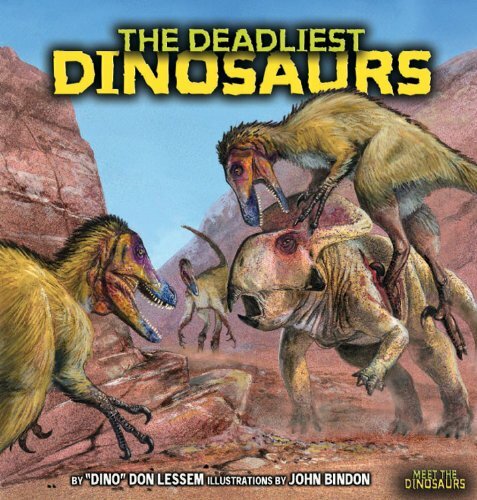 “Dino” Don Lessem brings readers face-to-face with various dinosaur species, detailing their habitats, way of life and how they became extinct. An acclaimed dinosaur expert, Don Lessem has written more than 30 children’s books, writes a popular dinosaur column in Highlights magazine, and was an adviser for Jurassic Park. Take a trip through dinosaur time to meet these sea giants face-to-face: The Archelon was similar to a turtle, but its shell was made of crossed rib bone covered in rubbery skin! The Mososaurs had huge pointy jaws and grew to be fifty feet long! The Ichthyosaurs looked a lot like dolphins! Plus, you’ll get to know Opthalmosaurus, Kronosaurus, Shonisaurus, Plesiosaurs and Teleosaurus! 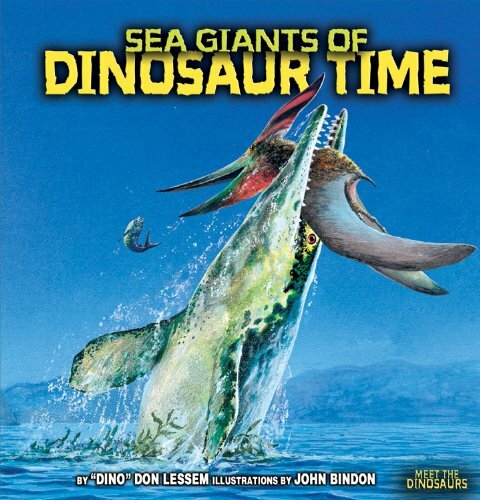 “Dino” Don Lessem brings readers face-to-face with various dinosaur species, detailing their habitats, way of life and how they became extinct. An acclaimed dinosaur expert, Don Lessem has written more than 30 children’s books, writes a popular dinosaur column in Highlights magazine, and was an adviser for Jurassic Park. 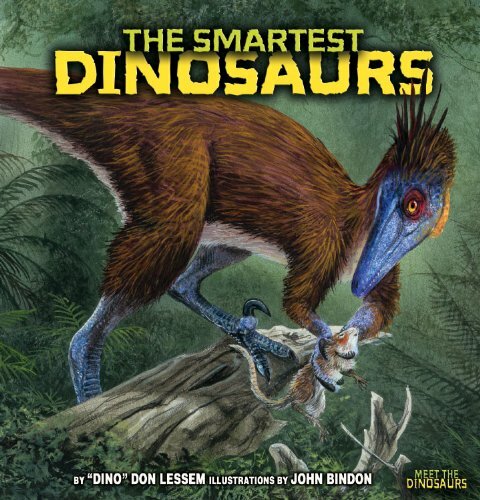 Take a trip through dinosaur time to meet these smart dinosaurs face-to-face: Troodon were the smartest dinosaurs! They would dig their prey (small rodents) out of the ground and could predict the movements of bugs! Giganotosaurus can recognize many dinosaurs from very far away by their smell! The Deinonychus worked together to sneak up on and surround their prey! Plus, you’ll get to know Gallimimus, Laellynasaura, Microraptor, and Tyrannosaurus Rex! Tara is a tiger cub. What is it like to grow up in a wild animal park? If you look closely, you will discover how Tara grows from a tiny newborn cub to a pouncing, full-grown tiger there. 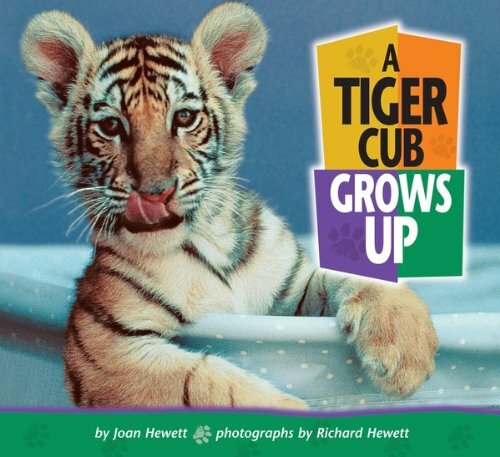 Beginning readers will delight in watching Tara as she gets her first tooth, takes her first swim, and plays with other tigers. With projects ranging from building a basic battery-connected circuit to a do-it -yourself burglar alarm, children will have fun discovering the properties and principles of electricity. FOR USE IN SCHOOLS AND LIBRARIES ONLY. 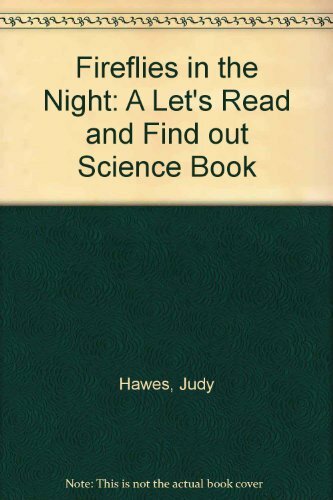 Describes how and why fireflies make their light, how to catch and handle them, and several uses for firefly light. 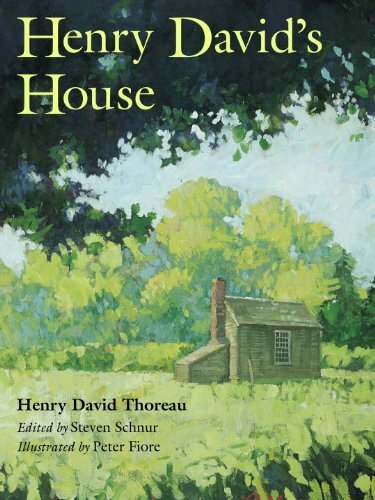 Young readers are introduced to Henry David Thoreau’s masterpiece, Walden, through excerpts from the original work. Our unique, kid-friendly Smart About series continues with something for your sweet tooth! 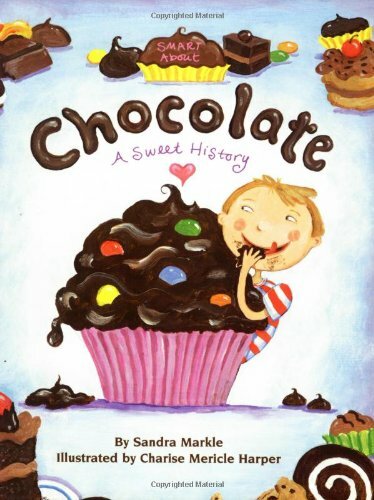 Smart About Chocolate is “chock-full” of fun facts about the history of chocolate, from the Mayans to Milton Hershey! Kids will learn how chocolate comes from beans of the rain forest’s cacao trees and how candymakers in England and Switzerland first produced the chocolate we know and love today. Includes recipes and recommendations of classic books about chocolate. 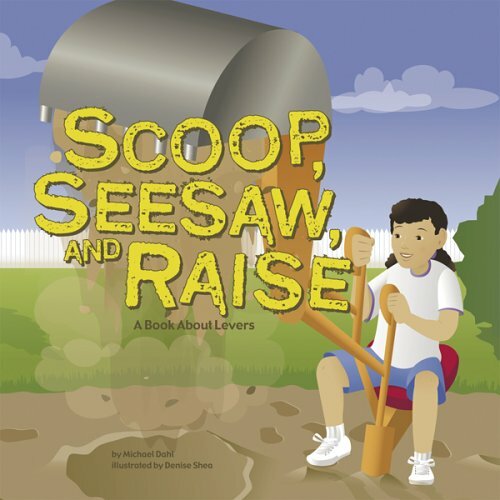 Provides examples to describe levers as simple machines used to lift, push, or move a load. 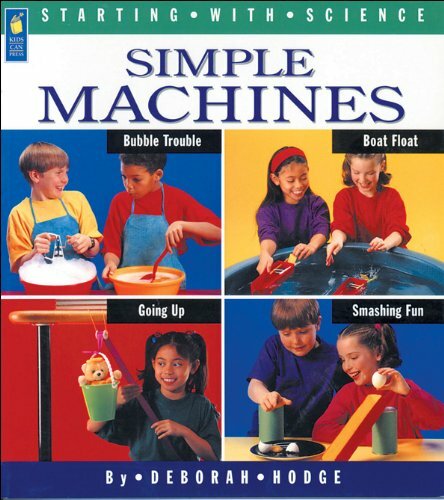 Includes an activity. Explore our solar system, from Mercury-where temperatures range from 300 degrees below zero to 800 degrees-to Pluto, the coldest and smallest planet. Greetings! Do 4U the robot here, and I’m hard at work at Worldwide Robotics. I’m conducting experiments to find out about things like pulling, pushing, and friction. 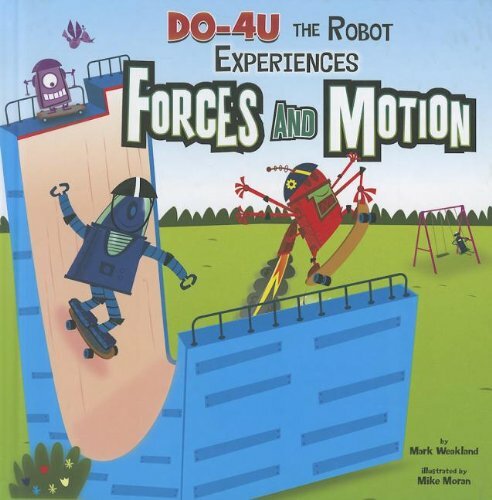 Charge your batteries and join me to learn all about forces and motion! How does oil turn into fuel for cars and trucks? 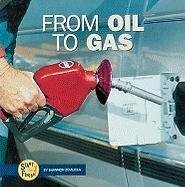 Follow each step in the production cycle-from clearing land to filling a tank with gas-in this fascinating book!